in GBP to EUR, GBP to ZAR. The Pound Sterling to Euro (GBP/EUR) exchange rate gained by around 0.49% on Thursday afternoon. After the Bank of England (BoE) Monetary Policy Committee (MPC) held the cash rate at 0.5%, the Pound is generally advanced versus most of its major peers. Most analysts agree that the MPC are likely to hold the cash rate at the record-low 0.5% for some time to come amid mounting uncertainties regarding the fallout from the Greek geopolitical situation. Sterling overvaluation is another key area which is likely to prevent a cash rate increase for a considerable time. The Pound Sterling to Euro (GBP/EUR) exchange rate is currently trending in the region of 1.3948. The common currency, meanwhile, edged lower versus many of its peers as the market waits to see whether Greece can submit reforms on time. The deadline for submitting a fresh reforms proposal, the first in the aftermath of the ‘no’ victory in the Greek austerity referendum, has already been delayed so there will be no missing it today. The proposal is likely to be relatively similar to previous submissions, although Prime Minister Alexis Tsipras will be campaigning for greater debt relief now that the referendum has given him more fodder for negotiations. The Pound Sterling to Euro (GBP/EUR) exchange rate was trending within the range of 1.3854 to 1.3951 today. The Pound Sterling to South African Rand (GBP/ZAR) exchange rate softened by around -0.27% on Thursday afternoon. 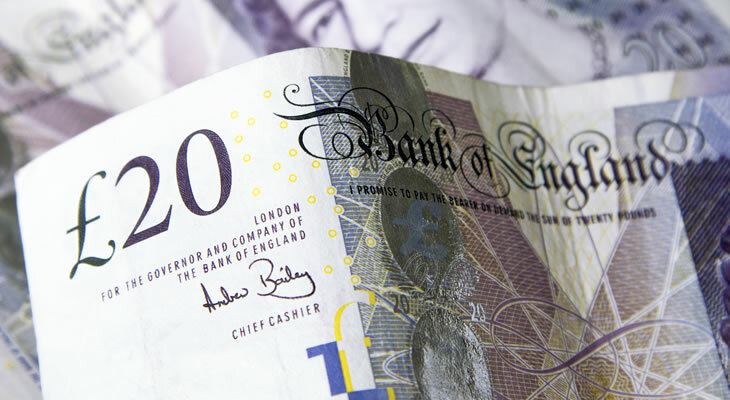 The Pound strengthened versus many of its currency competitors on Thursday after domestic data bettered expectations. The RICS House Price Balance was forecast to strengthen from 34% to 36% in June, but the actual result reached 40%. The rising price of houses has been linked to cheaper mortgages and higher wages causing steeper demand in London. There are not enough houses to cope with the influx of new mortgage requests, however. ‘There had been some hope that the removal of political uncertainty following the general election would encourage more properties onto the market but the initial indications are that this is not happening,’ said RICS chief economist Simon Rubinsohn. The Pound Sterling to South African Rand (GBP/ZAR) exchange rate is currently trending in the region of 19.2620. Despite the fact that South African economic data produced poor results on Thursday, the Rand strengthened versus it major peers. The appreciation can be attributed to a weaker US Dollar after Fed minutes indicated a long delay to a benchmark rate increase. May’s Mining Production came in at 2.7% on the year, failing to meet with expected growth of 7.72%. On the month, May’s Mining Production declined by -4.7% despite expectations of 3% growth. Additional Rand gains can be linked to Eskom having avoided load-shedding for nine-consecutive days. The Pound Sterling to South African Rand (GBP/ZAR) exchange rate was trending within the range of 19.1800 to 19.3320 during Thursday’s European session. Ollie Carpenter is a currency expert who provides specialist advice regarding foreign exchange risk management.